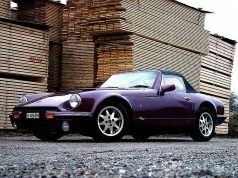 Prior to the TVR Cerbera, TVR had purchased V8 engines from Rover and then tuned them for their own use. When Rover was purchased by BMW, Peter Wheeler didn’t want to risk problems should the Germans decide to stop manufacturing the engine. 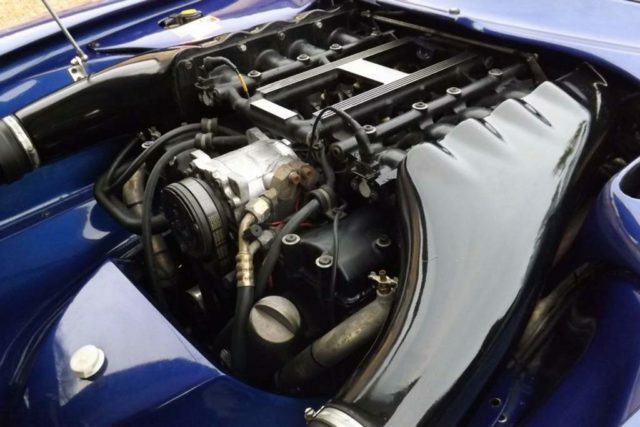 In response, he engaged the services of race engineer Al Melling to design a V8 engine that TVR could manufacture in-house and even potentially offer for sale to other car-makers. In an interview for the television program Top Gear, Wheeler explained “Basically, we designed the engine as a race engine. It was my idea at the time that if we wanted to expand, we ought to make something that we could sell to other people. 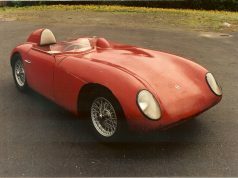 The Cerbera was the first roadgoing TVR to feature the AJP8 engine (or Speed Eight engine). This engine is quite remarkable in design in that it owes more to the current trend in racing engines than to anything that has ever been seen before in a road car. In other words, instead of basing a race engine on an existing road engine, TVR have developed an engine for the Cerbera out of a race engine. The result is that the Speed Eight has many features in it which would be more commonly found on an F1 engine. Examples of these are its extremely sophisticated water circulation system, its lubrication system which delivers oil at high pressure to the engine and at low pressure to the crankshaft and a block so rigid that it can be used as a stressed member. An all alloy engine with its eight cylinders arranged in a 75 degree Vee, the AJP8 engine has more torque in its various specifications than any other normally aspirated petrol engine of equivalent size and weight. At 121 kg, the engine is indeed lighter than the V8 F1 and F3000 engines with which it shares so many features. Many AJP8 engine components are of extremely high quality such as the pistons and connecting rods, which are forged, and the camshafts, which are rifle-bored and are made of solid billet EN40B steel. 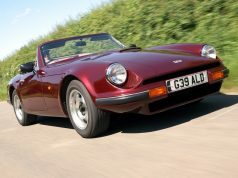 The net result is that the AJP8 has performed extremely well in the most gruelling test known to engineers: to give forty of them to TVR Tuscan racing drivers to try to blow up every weekend for the past five seasons.